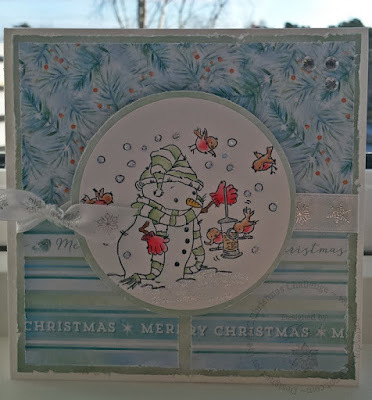 Hos Dorte: C and D are for...DT cards for ABC Christmas Challenge. C and D are for...DT cards for ABC Christmas Challenge. It's time for some new letters at ABC Christmas Challenge. 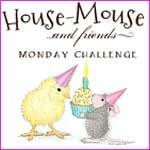 I've used a Gruffie Bear form House Mouse Design. The image is called 'To Ski or Not to Ski'. The two banners are cut out in scrap paper from Maja Design. I used an old friend of mine. with some lovely soft colours. All edges are distressed. The ribbon- from IKEA- is recycled from last years Christmas gifts. Both cards are lovely...my favourite is the first one, it's a great design and I love the image! Both cards are so pretty. Thanks for joining us at Tuesday Morning Sketches. 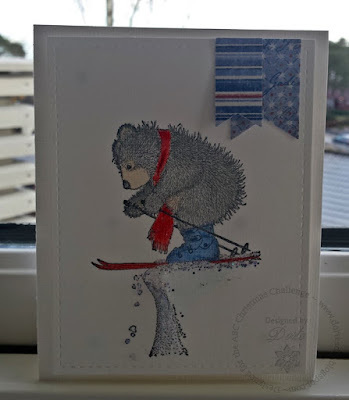 Two super cards and a real fun bear on the one for our our 'Spots and Stripes' theme at Allsorts challenge, many thanks for joining in. Sehr schöne Winterkarten hast du da gemacht. Danke für die Teilnahme bei Hanna and Friends. They're both gorgeous cards. I especially like that Gruffie stamp. Both of your cards are adorable!! 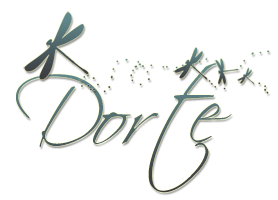 Hi Dorte! 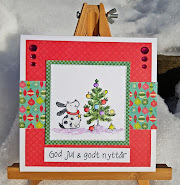 Your clean and simple Gruffies card is just so adorable and lovely in mostly white! Great make. Your image for your take on that sketch on the second is so cute with such lovely papers! Gorgeous cards Dot! I love the expression on the skiing bear's face - he looks as scared as I would! These are great ways to use papers to enhance your pictures. Such a lovely card! Thank you for joining Addicted to Stamps challenge. Two great cards - thanks for joining us at the Sparkles Christmas Challenge. Sweets or Hearts, a DT card for HM&FMC!